There are times when it can feel as if the thoughts and feelings that we experience are overwhelming in their intensity. 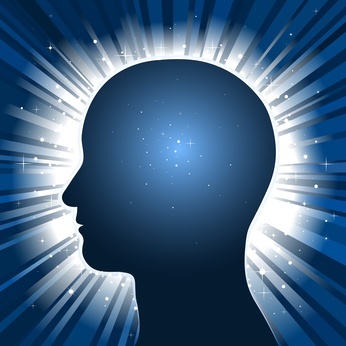 In my counselling and hypnotherapy work, I have found that guiding people towards changing the modality of the thought or feeling in conjunction with exploring the underlying issues, can have the effect of helping them lessen the intensity of it. We all represent our thoughts using different senses or modalities (e.g. visually, auditory, by feeling). By creating a mental image in our mind of the thought or feeling, such as giving it a shape, a colour, a size, we can mentally adjust these modalities and change the effect that the image has, and hence change the strength of the thought or feeling. Next time you are experiencing anxiety, anger, or any other strong emotion try this technique. It can also be used to help with pain, such as a headache. With your eyes closed, allow yourself to become aware of the area of your body where you are experiencing the emotion (e.g. stomach, chest) or pain (e.g. head) and visualise it as an image in your mind. As you focus on the image, visualise giving it a shape. As you continue to visualise it, give the shape a colour. Now visualise the background to the shape, and give that a colour as well. Then make the shape the same colour as the background and at the same time visualise making the shape smaller and smaller. Make it so small so it’s at the point just before it disappears. Then continue to make it smaller still….so when you look all over the background and try and find the shape, you see that it’s gone. Now imagine giving healing a colour. What colour would you give it? Visualise that healing colour flowing into the background….all over….until it flows into everywhere it needs to flow for the emotion or pain to disappear. You can also visualise changing the dimensional aspect of the shape, making it a still image if it is moving, and even visualise moving it around and out of your body.